This working paper on the Cham is the third of a pre-publication series on the groups being distributed on a limited basis. 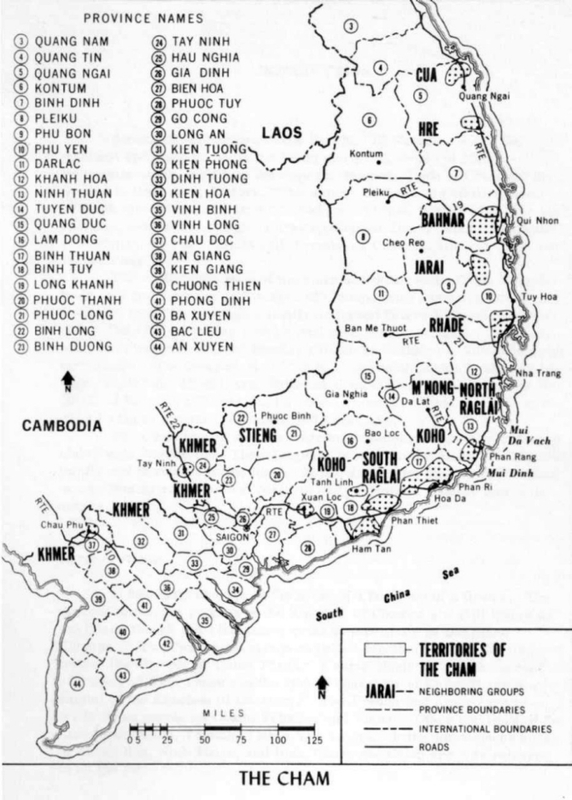 It is a descriptive report based on secondary sources dealing with the Vietnamese society. Field research was not undertaken, although the comments of consultants and personnel recently returned from Vietnam have been incorporated. The final report will contain line drawings and illustrations. It must be recognized, then, that this paper on the Cham is not an exhaustive study. Further, the information contained herein may be dated even before it is published and may be subject to modification in the light of new developments and information. Although it contains the latest information available, the user is cautioned to consider this study as a point of departure to be checked against the current circumstances or conditions of the particular area in which he is working. This entry was posted in Ahiér [Bà-la-môn], Awal [Bà-ni], Cultural Economics [VHH Kinh tế], Culture [Văn hóa], Culture & Ethics [Văn hóa và Tinh thần], Discussion [Thảo luận], History [Lịch sử], Islam [Hồi giáo], Language [Ngôn Ngữ], Literature & the Arts [Văn học và Nghệ thuật], Religion [Tôn giáo], VH Vật chất and tagged Anthropology, History, Tôn giáo/Religion. Bookmark the permalink.